A couple of weeks ago we had the first proper rain since May, a real downpour that properly soaked the ground and started off all the plants into another growing frenzy. A subtle greening of the landscape so far but you know down in the ground everything is working furiously. Down in Kas there was some flooding, the landscape funnels rain run-off water down into the middle of the town, the drains can’t cope and in a few streets it often floods the shops a bit. 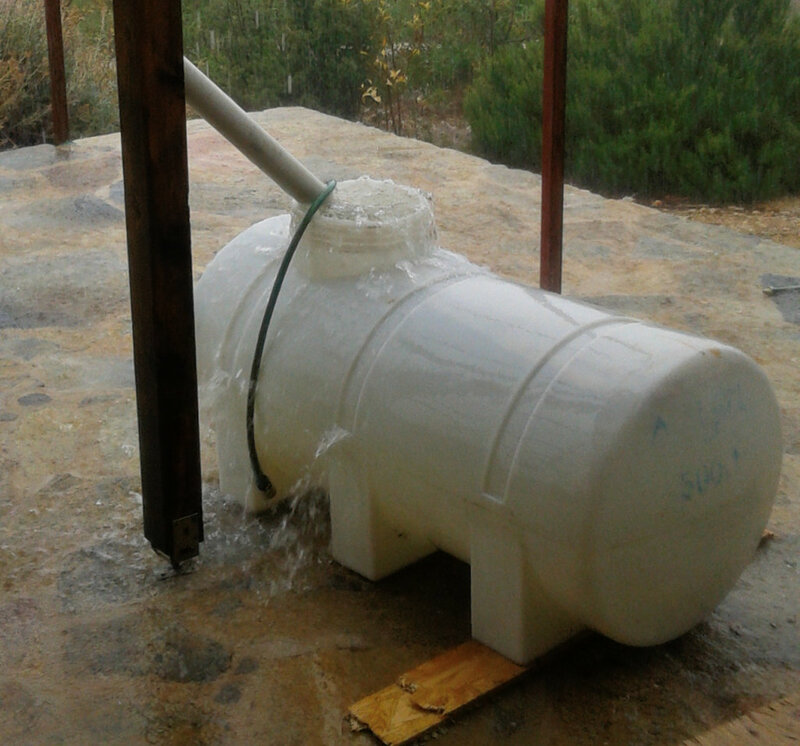 One of my guttering downpipes is positioned to direct rainwater from the roof into a 500 litre plastic tank, the rain was pretty heavy and it overflowed after the 10 minutes or so it took to fill the tank. Wish I had three or four 1,000 litre tanks then a lot more could be saved to water the plants with when it’s dry instead of having to to use water that has to be paid for. I had taken note of the weather forecast because my supply of logs to heat my house for the winter had only been delivered a few days before and I didn’t want them to get wet. I’d been planning to put a proper roof on the wood-store for some time and, galvanised into action by the impending rain, I got it sufficiently water resistant to keep the logs dry, then it was eventually finished yesterday. 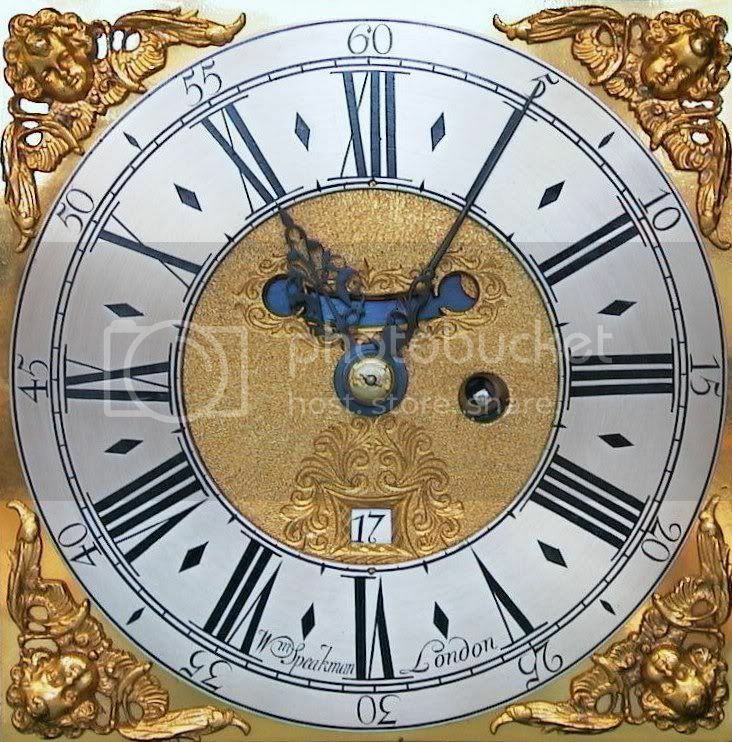 A couple of coats of clear preservative makes the old wood look quite attractive. The planks of wood were left over from dismantling my wooden veranda a few years ago, they had to come in handy for something one day eh? They were earmarked to make a chicken coop for a while but that didn’t come to fruition. The tiles were bought new. 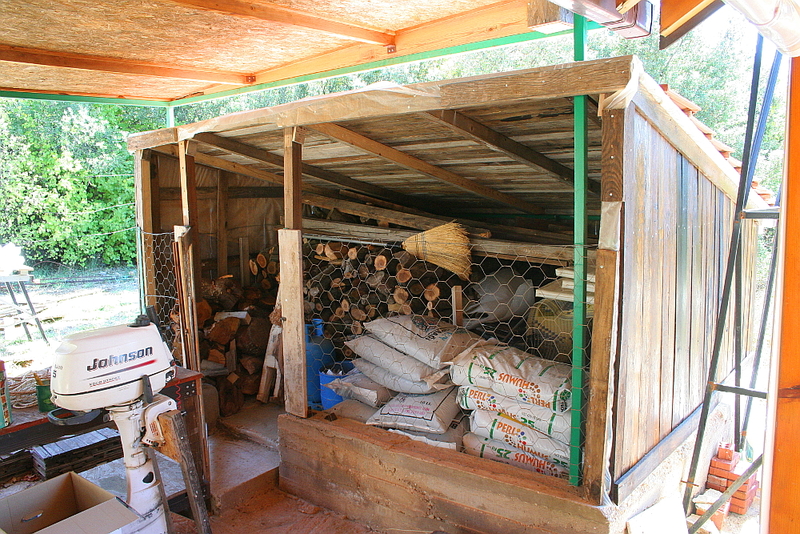 Of course creating storage space just creates a vacuum which has to be filled so there is all sorts of stuff in there now from bicycles to bags of compost and soil improver. I’ll have to wait until I’ve used some of the wood in the stove before I can get the outboard motor in there though. Talking of the firewood this is Atalay, the guy who supplies it. 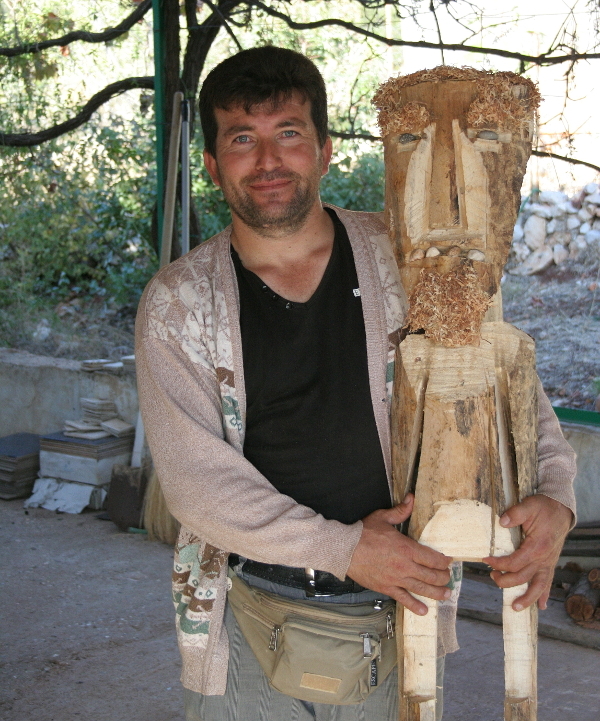 Very happy and helpful chap, charges a reasonable price (120 lira per cubic metre) and makes a folk-art figure (ju-ju) for all his customers. I’m thinking of it as a bringer of good fortune and warmth to the house. 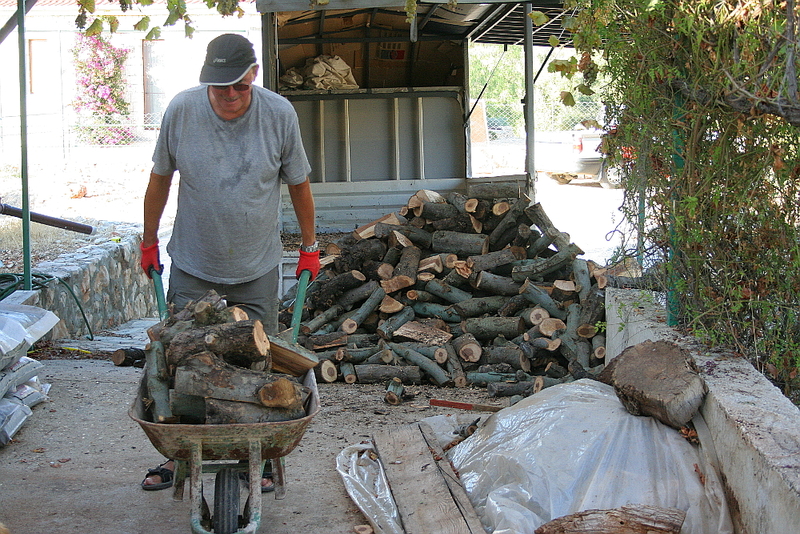 If you are in the Kaş area and need some firewood Atalay can be reached on 0538 2856382. Here also is my buddy Bob, I had helped him barrow and stack his wood delivery a couple of days earlier so he came to help me in return. 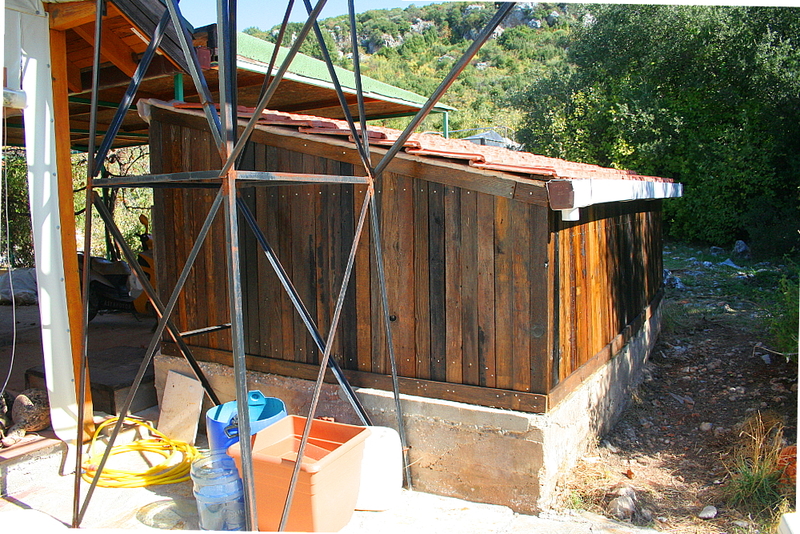 He also helped me to get some of the wood-store roof finished in time for the rain. While hanging out some washing the other day Minnie was wagging her tail and looking very interested in something under the old bench. There was a little Robin sitting there looking very sleepy, it didn’t object when I reached under the bench to pick it up and it’s eyes were half closed so obviously there was something wrong with it. My guess was that it had flown into a window pane and stunned itself, so to keep it out of harms way while it recovered I put it in the back of my pick-up and left it alone. About an hour later it seemed much more alert so I put it on the Jasmine at the back of the house and took a few photographs of it. 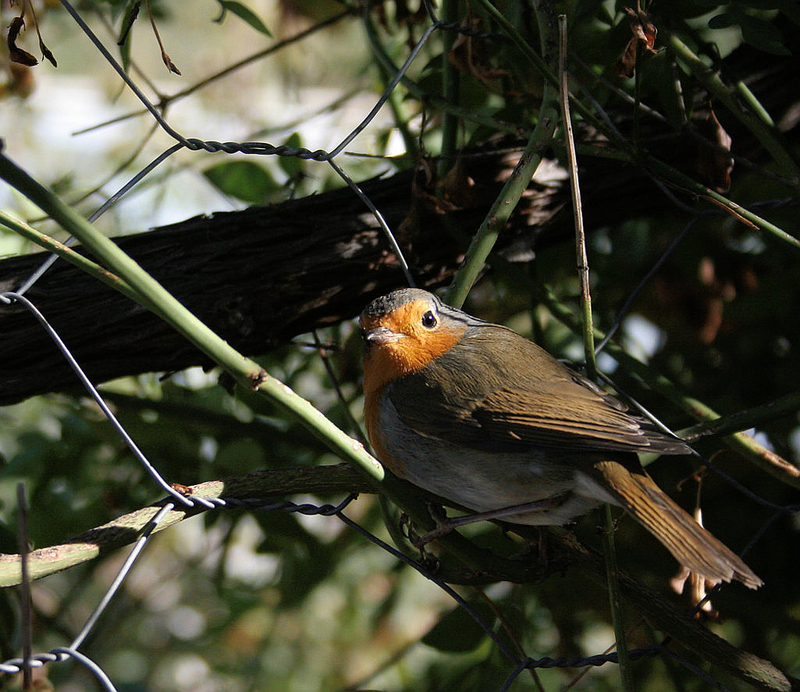 After a couple of minutes it hopped onto other branches and then flew off altogether. Glad it survived. 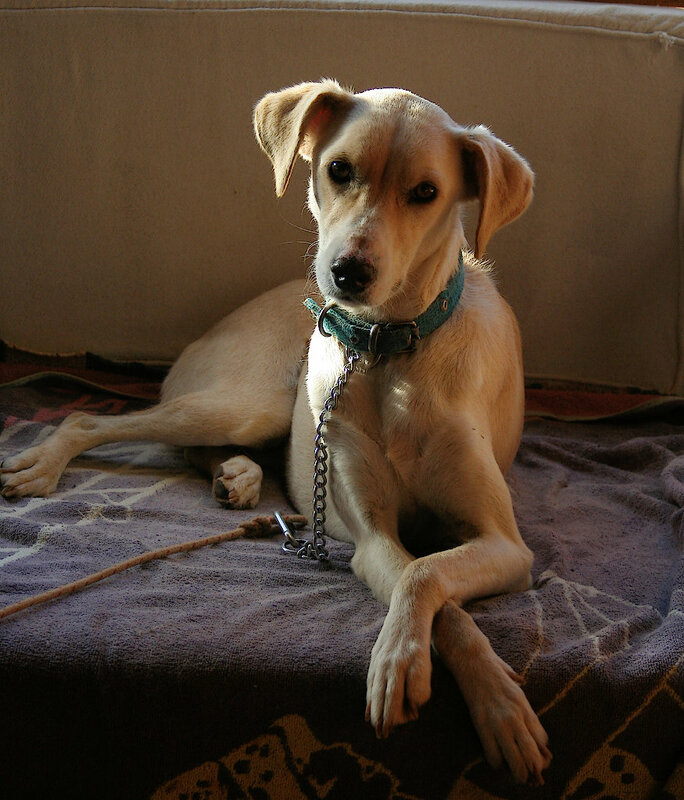 And, apropos of nothing, here’s a photograph of Molly in her usual relaxing position with her front legs crossed. Oh, by the way, the repairs to the front of my brother’s house are stalled in red tape while the insurance company get their act together. Hopefully it will be finished by Easter he says.